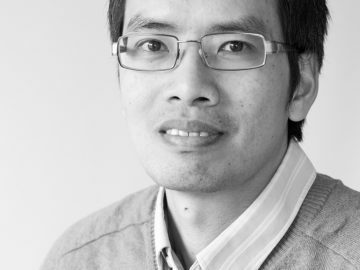 Dr. Thang Pham received a Ph.D. in computer science from University of Amsterdam in 2005, studying in a field of artificial intelligence that focuses on machine learning and computer vision. He joined the OPL as a research associate in September 2006. At the OPL, he performs data processing and basic statistics and bioinformatics analyses of core and collaborative projects. He develops software scripts to assure high quality proteomics data through robust quality control and user-friendly reports. His research interest is to advance computer algorithms to explore the vast amount of data in cancer research. A highlight of his research is the publication of three statistical methods for significance analysis of mass spectrometry-based proteomics data. Besides his responsibilities of running all project analyses, he is currently working on subtyping of colorectal cancers from a proteomics perspective.